These free Christmas party invitations are both functional and pretty and your party guests are going to love to receive them in the mail. Christmas party expenses can really add up and these free Christmas party invitations are a great way to save some money while not compromising style. 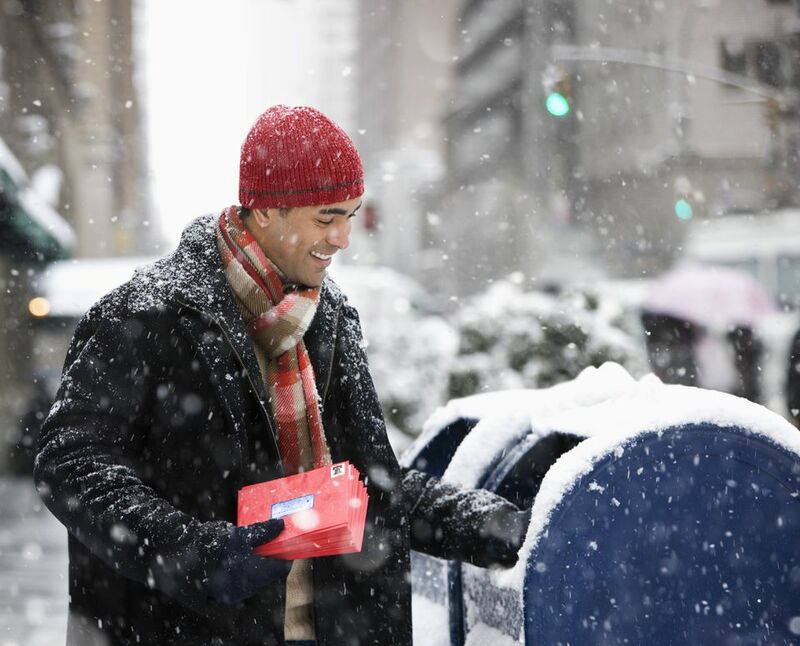 Hand deliver them instead of mailing and you'll even save the cost of a stamp at the same time as making your friends and family feel extra special. Follow the directions on each website to print the free Christmas party invitations out so they'll look their best. Typing in your party details before printing looks more professional but adding a handwritten touch can be priceless. There are more Christmas freebies to help save you money this year like printable Christmas cards, letters from Santa, printable gift tags, and more Christmas printables. Here's a free Christmas party invitation that would work for any type of holiday party. It has a tan background and then tons of little Christmas images that will make the recipients smile. Before printing this 5x7 invite, customize it online with your own text in your own choice of color. These red and teal retro Christmas party invitations feature Santa Claus and have a spot where you can hand write the date, time, place, and RSVP information. You'll want to print out these free Christmas party invitations on either cardstock or printer paper, add your details, and then cut them out before mailing. You get a choice of a free Christmas party invitation that's red with a picture of Santa or green with a cute little snowman. There's a place for the date, time, place, and RSVP on each of the invitations. Besides the free Christmas party invitations, there are lots of other free Christmas printables here including party circles, labels, drink flags, wine bottle labels, and gift tags. This red and gray Christmas party invitation will invite all your guests to a Merry Little Christmas Party. You can fully customize this invite with your own text. It prints out as a 5x7 invitation. These free, printable Christmas party invitations are blue, green, and purple striped with the phrase "Holiday Cheer!" up at the top. You can also print off matching party circles, gift tags, wine labels, cupcake wrappers, and even a banner. 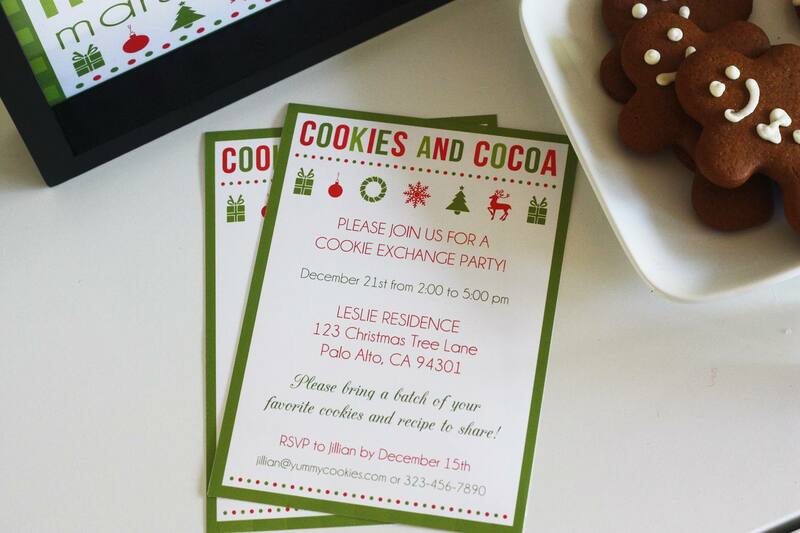 The free Christmas party invitation at Invys.com lets you fully customize it before printing. Choose your size, add your details, change the colors and font, and even add your own image before printing this free Christmas party invitation. These "Come Celebrate Christmas" party invitations have room for the recipient's name and all the party details. You can also print off some free decorative circles, cupcake toppers, place cards, drink flags, and cake bunting to match these free Christmas party invitations. Ugly Sweater parties have been very popular the last few years and if you're hosting one this year, I have the perfect invitation for you. This free Christmas party invite is red and white and says "Tis the Season to Rock an Ugly Sweater". There are places to write the date, time, address, and a checklist of items you'd like the guests to bring. Be sure to check out these DIY ugly Christmas sweater ideas so you can be the "best-dressed" of the party. There are 5 different styles of free Christmas party invitations over at Living Locurto - Eat Drink & Be Merry, It's a Holiday Party, It's the Season to Party (two different designs) and You're Invited to a Stocking Girl Party. Download any of these free Christmas party invitations, type in your party details, and then print them out on photo or printer paper.